Back home in the Philippines, where things were affordable, I religiously kept a weekly regimen of manicure, pedicure, body and scalp massage. There was also my monthly body scrub and hot oil treatment, and occasional trips to the dermatologist for facial cleansing and microdermabrasion. When I moved to the U.S., I gave up a lot of "luxuries" except for my trips to the spa every two weeks for a much-needed two-hour deep tissue massage, and lately, a once-a-month one-hour facial. The massage not only relaxes and soothes my overworked muscles and joints; more importantly, it gives me relief from my perennial lower back pain. And since I am not getting younger, I have to take extra care of my skin, particularly my face. A healthy diet, regular exercise, cleansing regimen and proper skin treatment are, therefore, important preventive (or delaying) aging measures. I am happy that I found a really nice spa near where I live which offers services/products suited to my needs. My therapist takes good care of me. She gives the best massage and tips that help ease/prevent my body pain. Same with my aesthetician. She is experienced, well-trained and a nice lady. The products she's recommended work well with my skin. People have different skin and body types, problems and needs. It is, therefore, important to choose a spa which offer not only modern amenities, but a variety of services and products, and well-trained trained and experienced medical staff who really take good care of their patients. 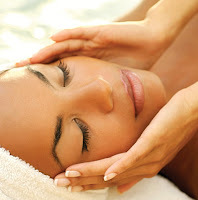 The other day, I was discussing with a friend of mine about our skin care regimen to combat the early signs of aging. She lives in Glendale, AZ so I suggested she scout around for glendale med spas and compare which offer the best services. I hope she is able to find a glendale med spa or a west phoenix med spa near her area that is able to help with her skin needs and problems. so take care of it.